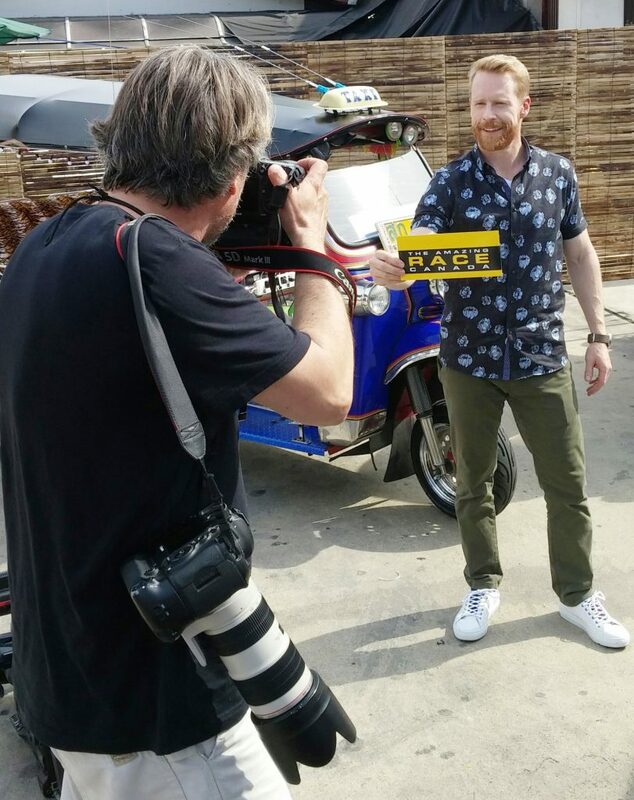 I was lucky enough to spend a few nights in Bangkok this May with the cast and crew of The Amazing Race Canada. The series — which topped the ratings across Canada the week of July 31 – Aug. 6 with 1,830,000 viewers — resumes tonight at 8 p.m. on CTV. Me and my ex-Toronto Sun pal Jim Slotek made the trip, along with CTV PR veteran Jim Quan. It was an eye-opening journey of extremes and adventure. 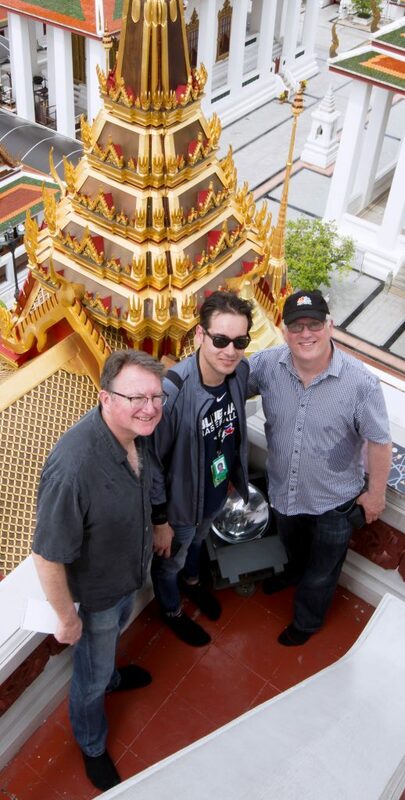 Going from Beijing to Bangkok, as we all did on the series when it was taped last May, is like going from Salt Lake City to Vegas. Beijing is a wealthy, no-nonsense capital, home to great walls and forbidden palaces; Bangkok is laid-back, fun and friendly. 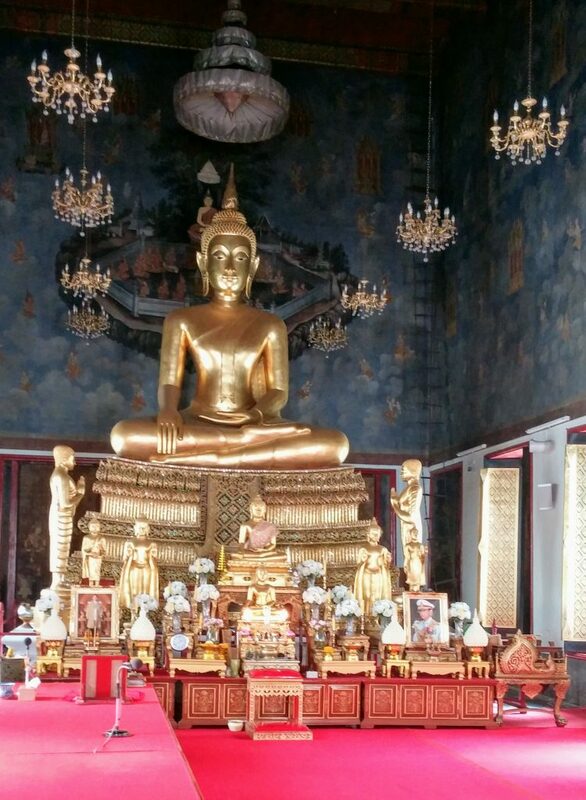 What happens in Bangkok stays in Bangkok. What happened to the Dhallas, however, wasn’t much fun. The father-and-son team finished last on that leg of the race and were eliminated from the competition. Two episodes earlier, they did win one leg of the race, however, bagging a trip to Chicago. 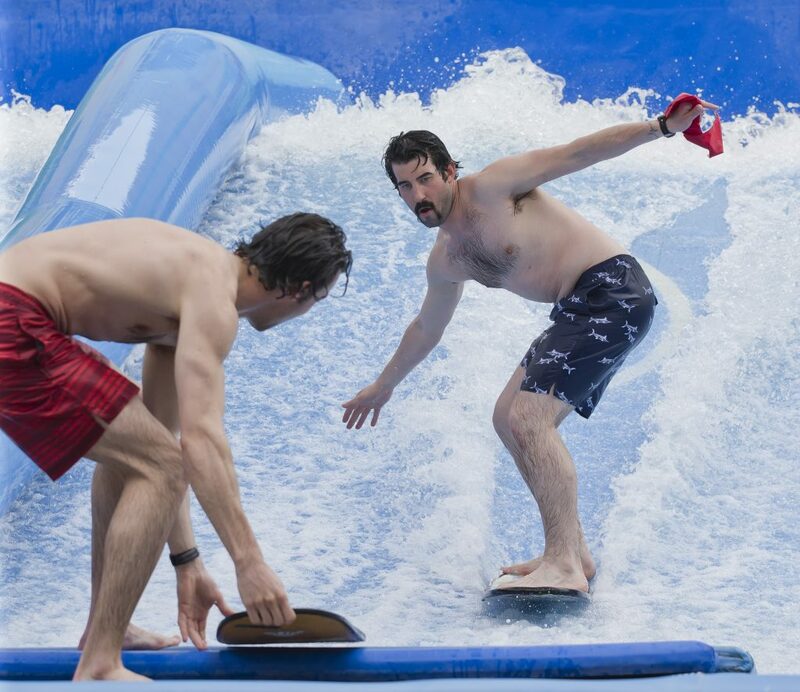 Teams had to ride the surf at a wave pool amusement attraction in Bangkok. It was a pretty challenging task, and 57-year-old Shabbir, the oldest competitor on this fifth season of TARC, just couldn’t quite catch the wave. The team had run a great race up to that point, finishing first and second in the previous two legs and never once dipping into the bottom pair. Zed and Shabbir, unfortunately, received little advantage for any fast start in Bangkok. The night before was a sleepless one as teams had to catch an early train to Shanghai. The Dhallas outraced the other teams to get to a cat cafe in Bangkok but nothing was gained, time-wise, from that excursion, either. The time spent at the wave pool was wasted as other, younger competitors came, hung ten and went. By the time Zed and Shabbir switched to a Tuk-Tuk decorating challenge, it was too late. “I think a combination of those events paired with us choosing the wrong detour which ultimately chose our fate,” says Zed. Only the cats truly enjoyed the cat cafe. There were 35 felines lounging inside the small, store-front area, and they were more fun to watch then to smell. Vancouver residents Zed and Shabbir say they kept their elimination secret from their biggest fan — mother and wife Yasmin. 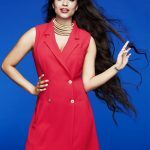 She knew something was up, says Shabbir, when the duo had to travel to Toronto for exit interviews the day the episode aired. 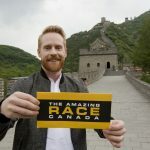 Read more about the Dhallas’ quest to win The Amazing Race Canada here at this feature I wrote for The Vancouver Sun.